If you missed this deal the last time it was offered, you’re in luck. 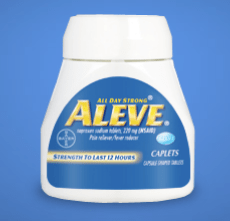 Get a FREE Sample of Aleve Pain Reliever from Sam’s Club. Next post: Tide will be giving away 5,000 Bottles of Tide Stain Release on Facebook!